The sun has finally decided to show up, and I’m making the most of it with my outfit choices. My summer dresses are finally getting an airing—good job, as I have a few crammed into my wardrobe. 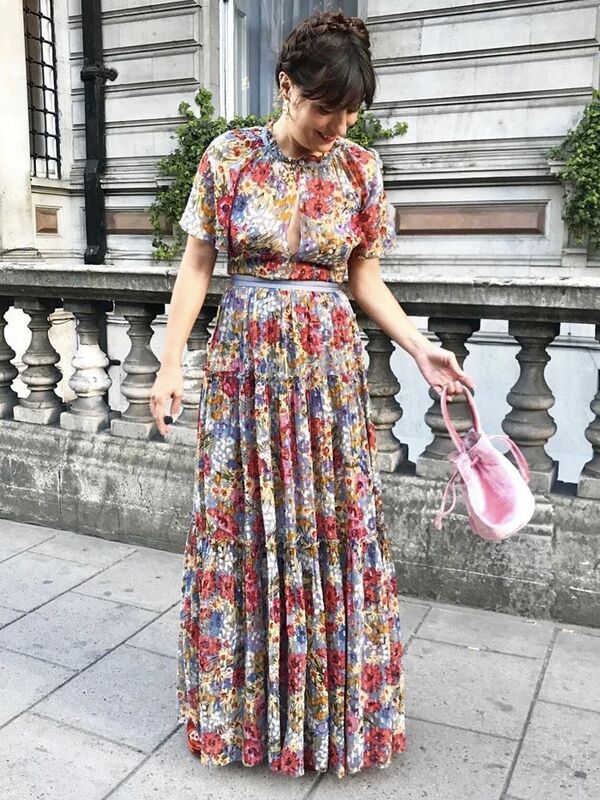 I’ve rounded up my fave places to buy the coolest summer dresses that will work whatever the occasion when the sun is shining. Dresses that will look great at the beach and for a wedding, but are also perfect for every day when dressing down with a trainer. I’m a sucker for a pretty dress—if it’s midi and floral, I’m usually sold. This means I have to make the most of them and make them work for multiple events, so it’s all about switching up the accessories. My go-to stores for dresses on the high street are Topshop and & Other Stories. I also love to find alternative options away from the high street that are still affordable. Sure, these prices are a little higher but not quite in the designer bracket. For this, I turn to Réalisation, Reformation and a new discovery, Magali Pascal. I have Reformation dresses that are years old but still feel current, and I pull them out every year without fail. The summer dress will always be a wardrobe staple of mine. Long may this warm weather last. Keep scrolling to see how to style affordable summer dresses and where to shop them now. Topshop is winning at the high street dress game right now. Spots and bows. What more could you want? Keep this one bookmarked as a wedding guest dress. Pair this beauty with converse. Kitri is a such a gem that you won’t want to share the website with your friends. Uber-cool sustainable fashion label Reformation specialises in summer dresses. Look to this U.S. label if you’re after a something a little different. For those who still like to wear black in the summer. Cue lots of "Where did you get that dress from?" queries upon your first outing. Green is the colour of the moment. You may have seen this brand flooding your Insta feed, but I still can’t get enough of Réalisation dresses. The prints and the cuts of these frocks make them the perfect piece to slip on for instant cool-girl, summer-in-the-city chic. This one has serious Kate Moss vibes. Super chic and will look ace over jeans too. This dress is what picnics were made for. The ideal frock for the beach and a night out. For dresses that look almost designer but without the price tag, it’s & Other Stories every time. This is the sort of dress you’ll regret not buying come next summer. Wear after-hours on your holiday. This brand is a new discovery of mine. I love the pastel print and the cut (although not ideal with the British wind, as I had a few Marilyn moments). This Australian label makes dresses that are a perfect addition to your holiday wardrobe. This is crying out for a summer picnic. A beach dress certain to endure. All you need is a date to accessorise this. While we’re in the market for all things affordable, high-street wedding dresses have never looked so good.